Spring has officially arrived and I’m trying to get ready for Easter which is fast approaching. Yesterday I had a little fun putting together this Easter egg topiary and since I really like how it turned out, I’m planning to make another one today. 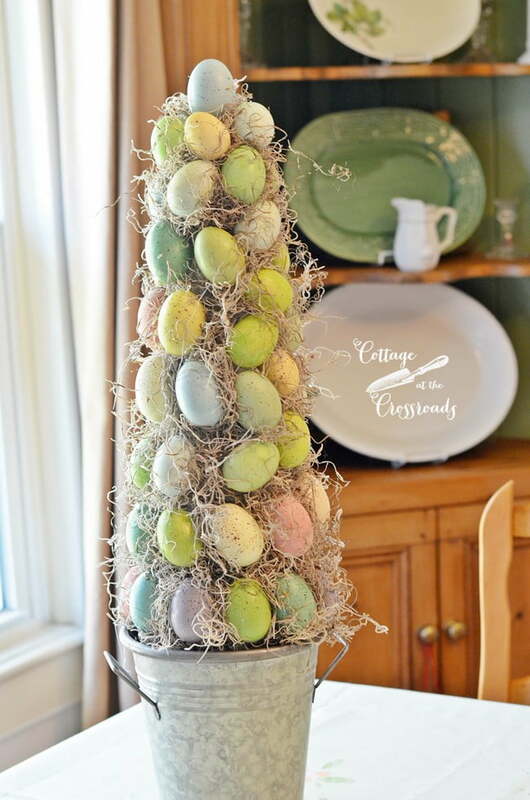 I have long admired these Easter egg topiary trees whenever I’ve seen them in stores, but they are a bit pricey. And since I had these galvanized containers that were sitting on the mantel, empty and begging for something tall to go in them, I decided to make some of my own. 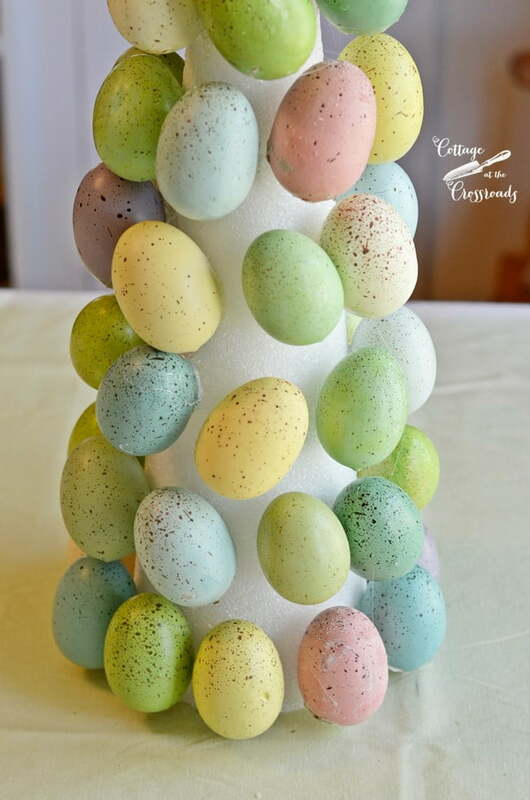 I thought I had plenty of pretty, pastel colored eggs that I could use on the tree. Here they are just sitting in a bowl with my new felted wool bunny that I found at one of my favorite stores, Southern Seasons, located in Mt. Pleasant, SC. But I quickly found out that I needed many more eggs to complete my topiary. Most of the eggs that I already had were mostly blue and green, but I wanted to include some of the pretty pastel colored eggs that you see in the photo above. I found these at Big Lots but I did not discover that they were glued into the carton until I got them home! So don’t make the same mistake that I did! The eggs that I would recommend using would be the white ones that come in a carton that are sold at WalMart. Of course, you would need to paint them but they would be much less expensive to use. In this close-up photo, you can see about how much space I left between each egg. The next step is to add Spanish moss to hide the visible cone. The way I adhered the moss was to put a dab of hot glue on the cone and then pushed the moss onto it with a knife (to avoid burning my fingers!) 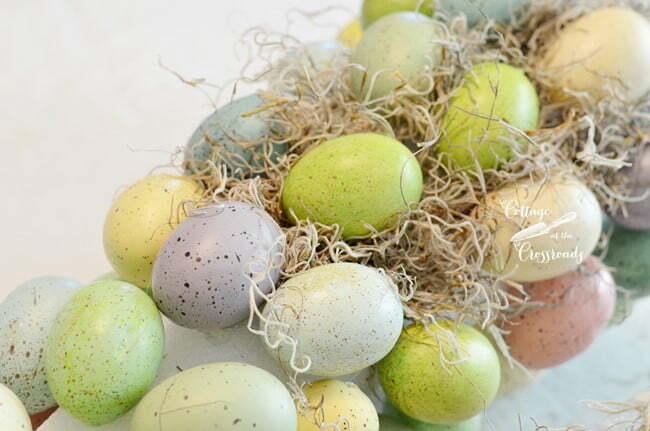 The excess moss was wrapped around the eggs. 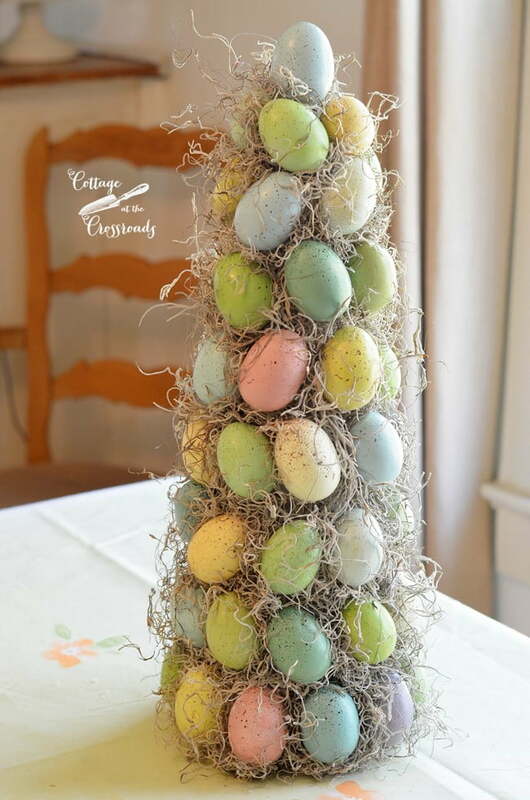 Such an easy DIY Easter decoration that could be a beautiful table centerpiece and if using it in that way, you wouldn’t even have to put it in a container. 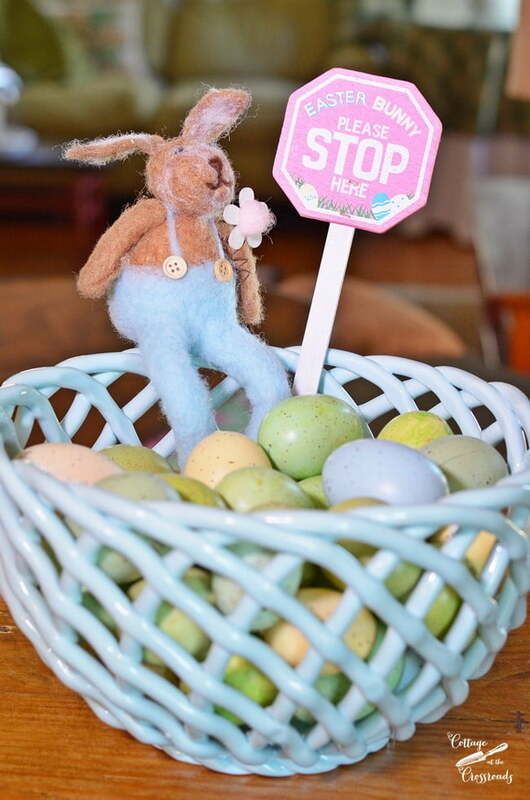 Now, I have to get busy today making another matching Easter egg topiary so I can finish decorating our mantel! 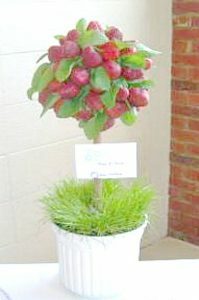 If you’d like to see some other topiaries that I’ve made, click on any of these photos below. Hi! I love your Easter egg topiary. Could you please tell me how wide the container is for the tree to get it to sit up like that? I know you said the tree is 5 inches wide so im just trying to figure out. Also, did you glue it inside the pot or just rest it there? Thank you so much. i love your blog. The diameter of the galvanized container is 7 1/2 inches and the topiary is just resting on the top. 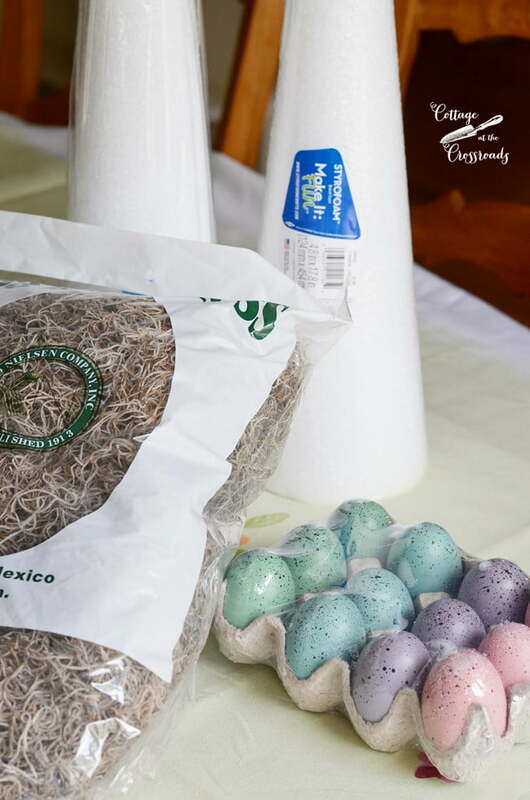 By the time you add the bottom layer of eggs onto the cone, the diameter of the cone is greater than the diameter of the container. Works out perfectly! 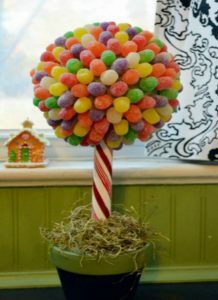 Thank you for this tutorial on the Egg Tree! I’m excited to give it a try! Also love how you explained it all!!! 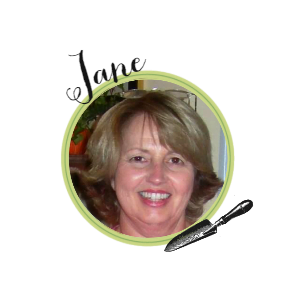 Jane thank you so much for this tutorial. I too adore these topiaries. 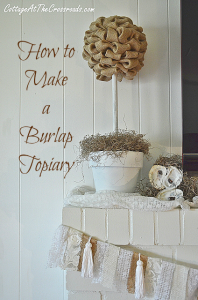 I love anything that looks like a topiary and this is wonderful. I have some of these eggs, but I need more. Love it, Jane, so cute! que lindos colores,es muy hermoso! It’s so pretty! 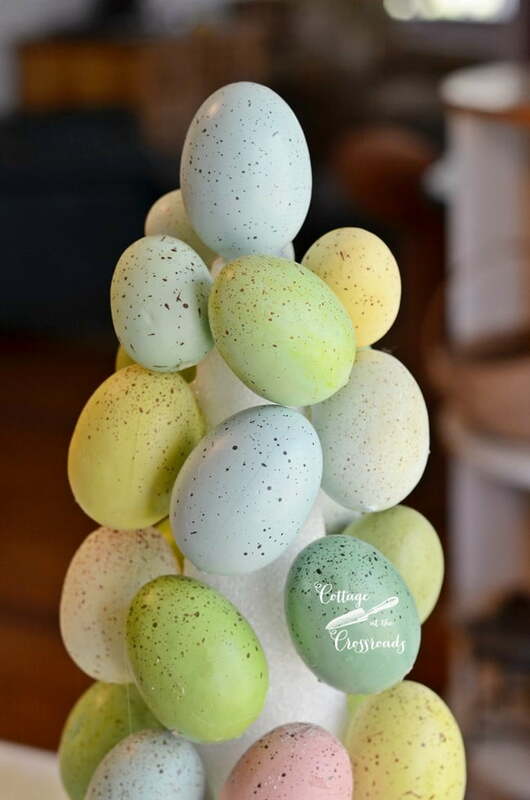 What a beautiful addition to your Easter table! 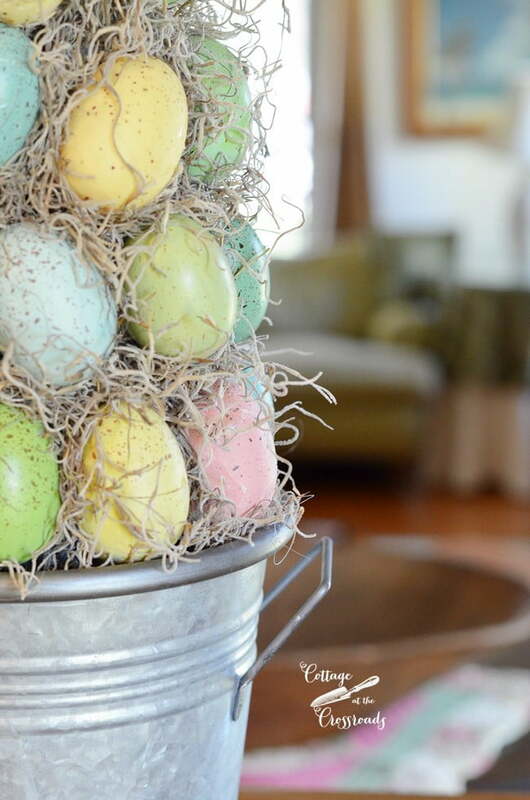 The eggs are the perfect colors for the topiary in your home. I always liked the way you style your dining room for seasonal occasions, very pretty. Jane this is too sweet 🙂 Pinning! I wish you’d send some spring weather my way. Supposed to get snow again today.